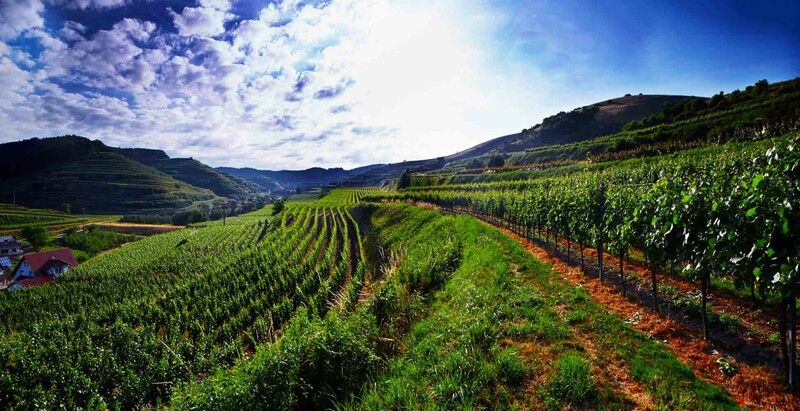 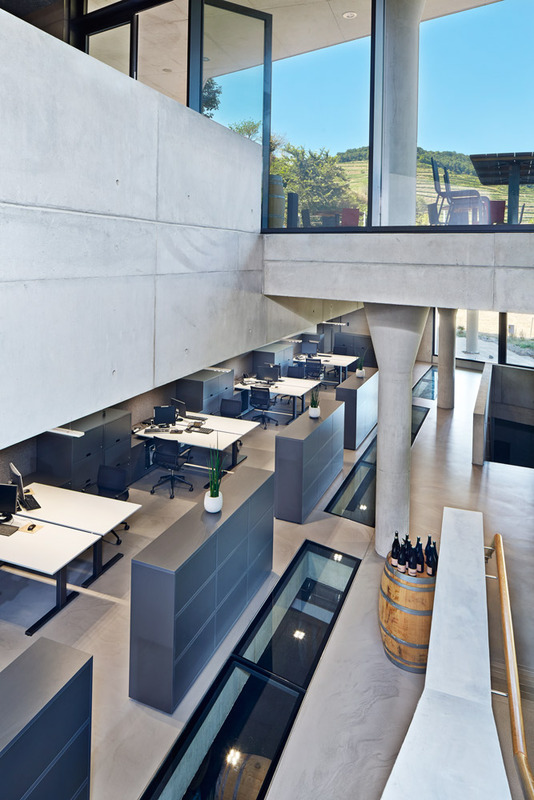 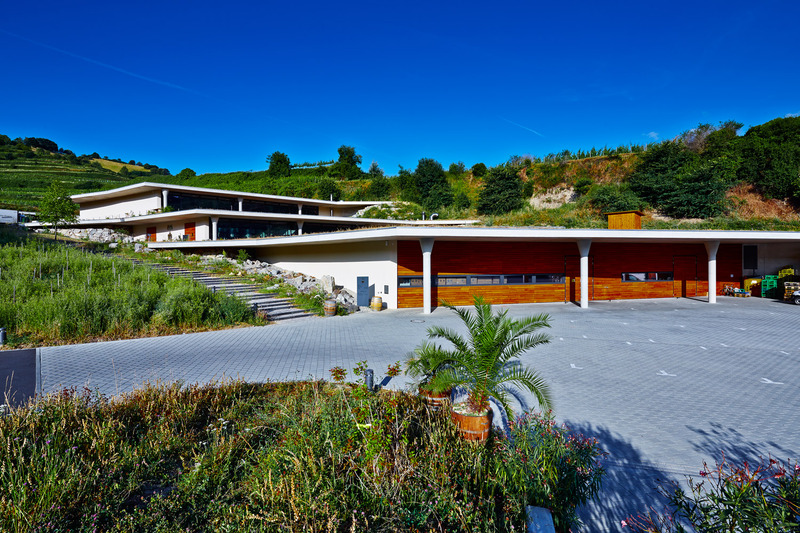 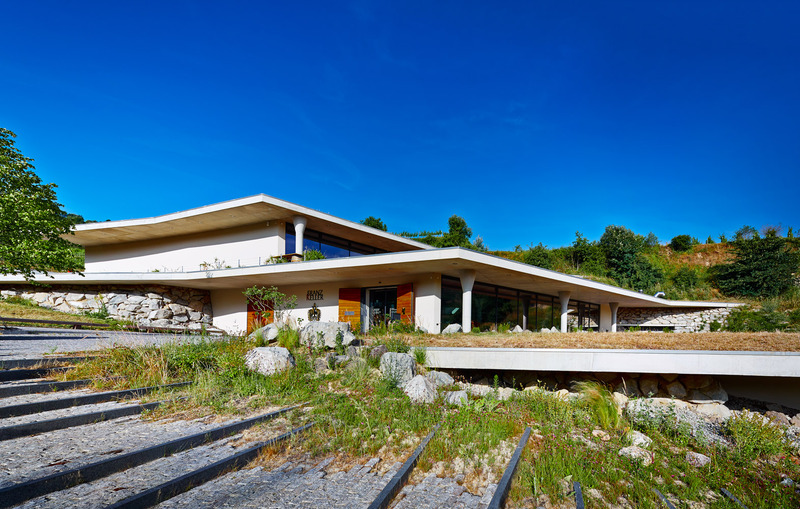 "Franz Keller with the restaurant Schwarzer Adler is one of Germany’s leading vineyards. 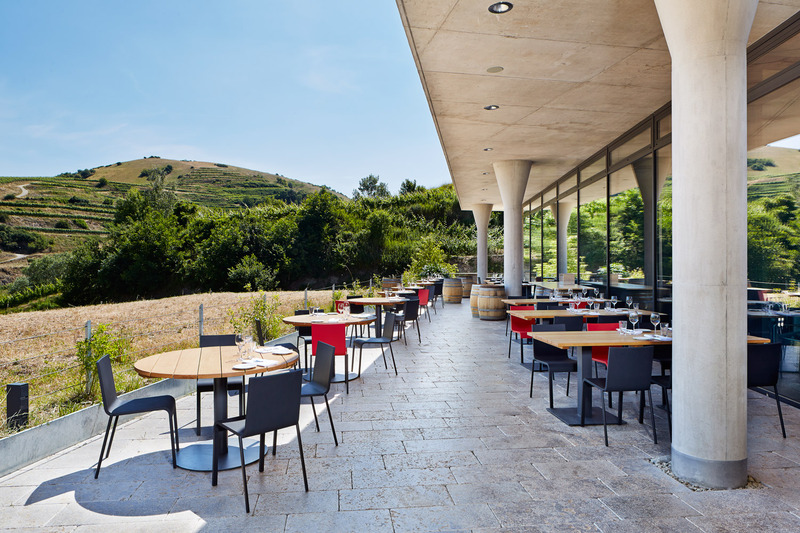 For the spectacular new building with its minimalistic, transparent architecture recessed into the slope, the customer required seating that picks up on the building’s aesthetics but is exceptionally comfortable, can be used outside and can be stacked to save space. 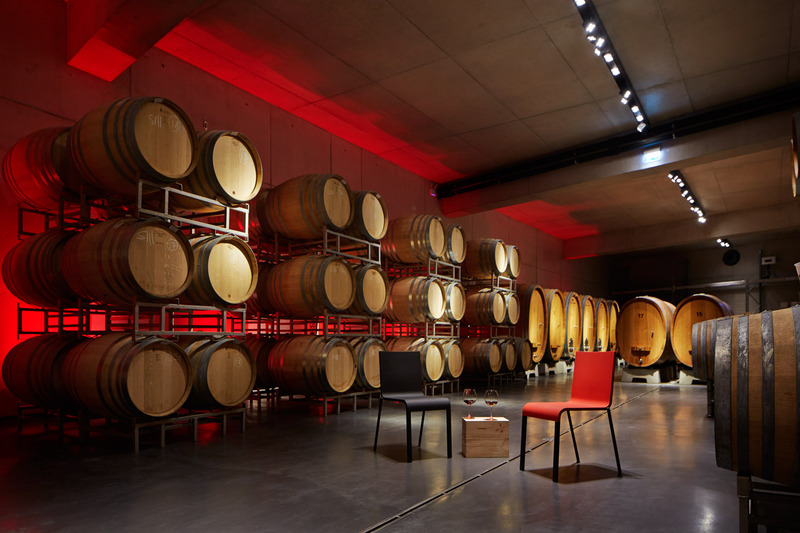 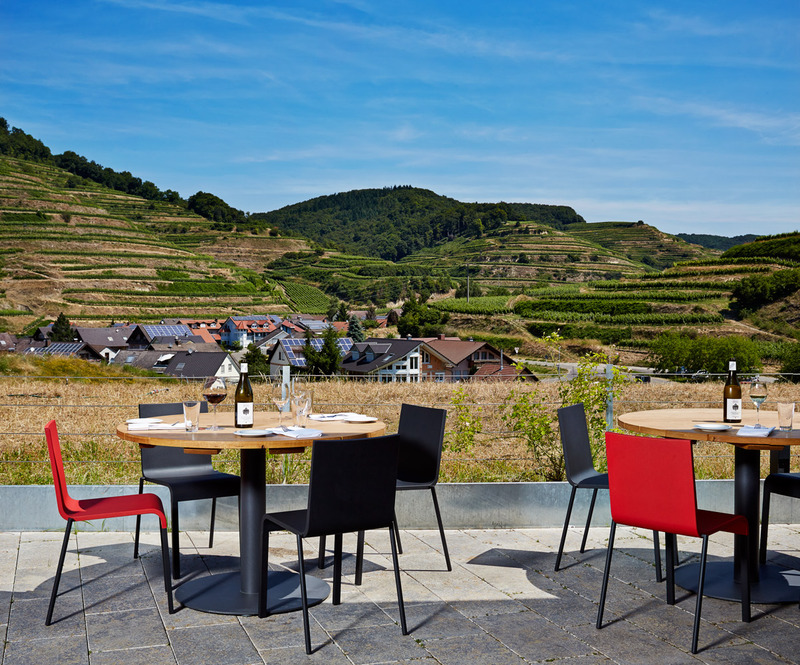 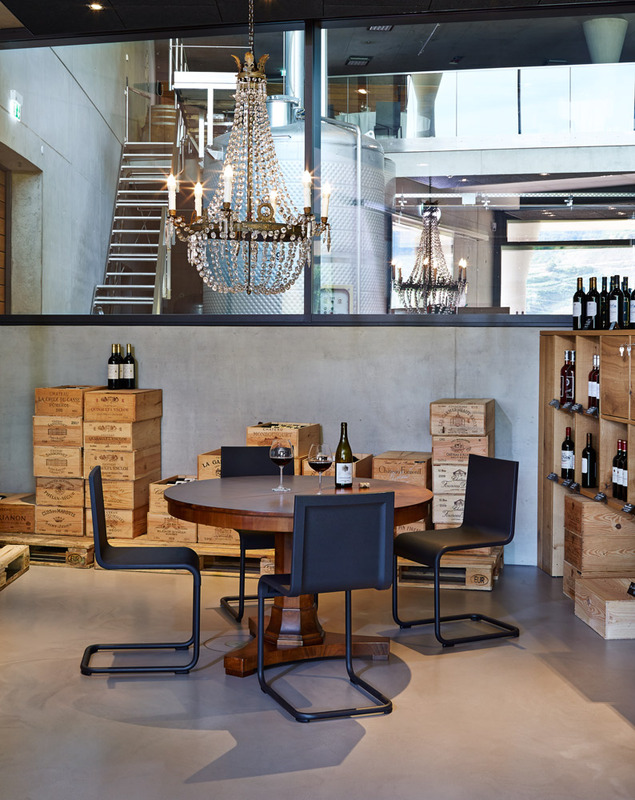 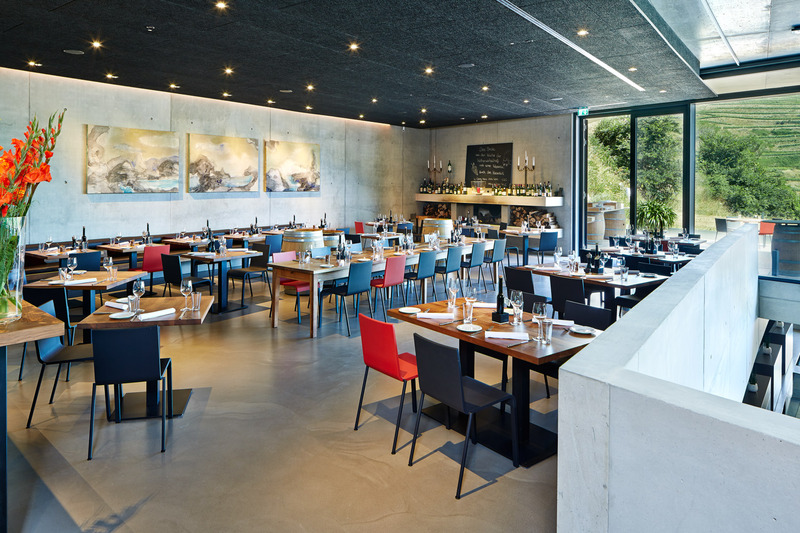 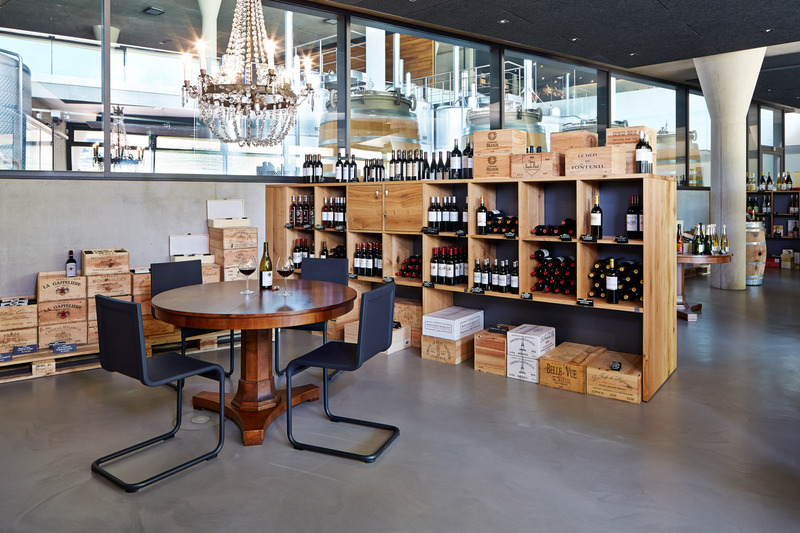 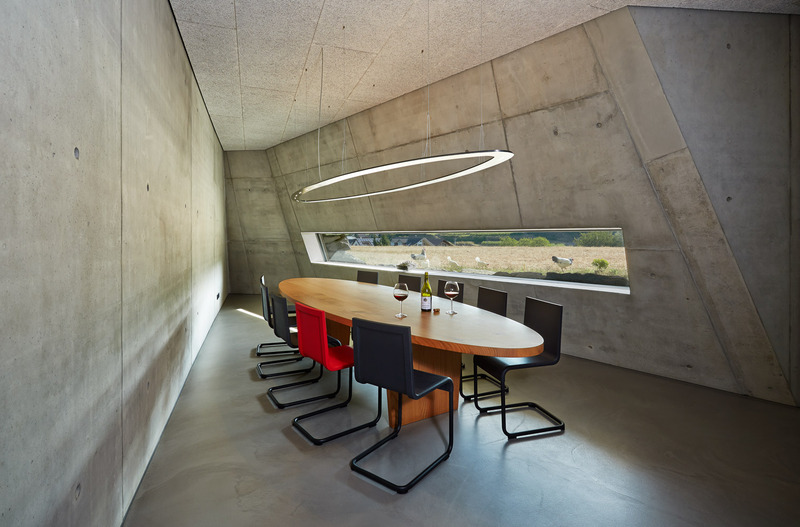 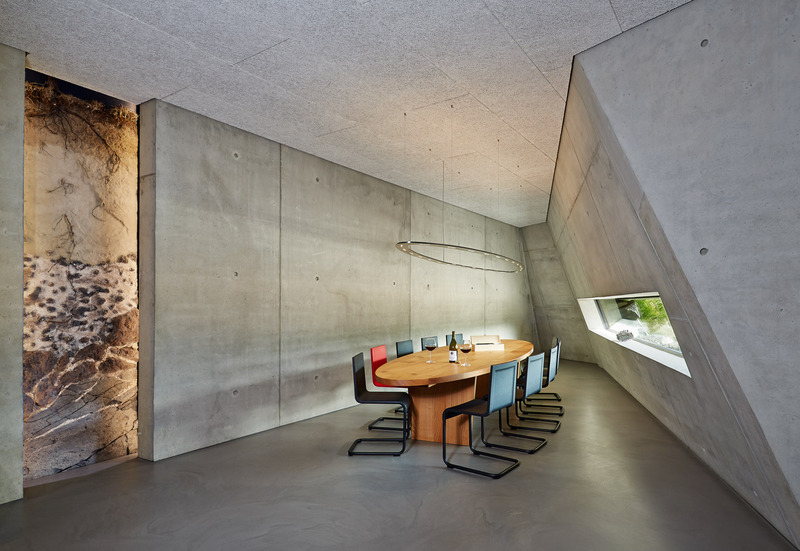 Chair .03 by designer Maarten Van Severen fulfils all of these requirements perfectly, which is why it was chosen for the events area, restaurant, administrative area, wine-tasting room and conference room. 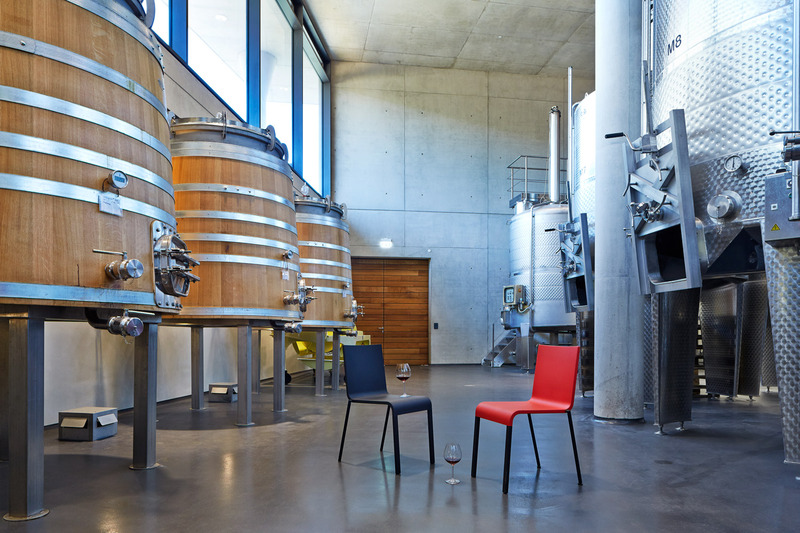 This chair was supplemented by a few Panton Junior chairs for young guests and visitors."